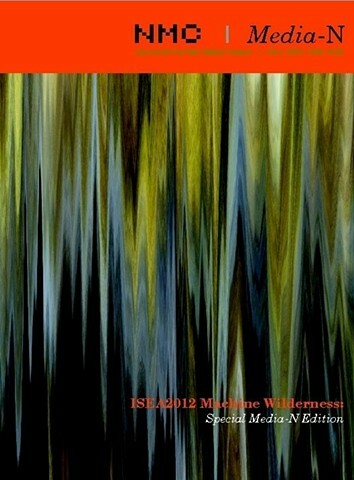 "This collaborative edition produced by ISEA2012 and Media-N explores the symposium’s thesis via its seven tracks: 1-Wildlife: Trans-Species Habitats, 2–The Cosmos: Radical Cosmologies, 3–Creative Economies: Econotopias, 4–Power: Gridlocked, 5–Transportation: Dynamobilities, 6–Latin American Forum, 7–Education Program, 8–Artists’ Talks and other papers. Through this specially devised format, we are presenting essays by invited ISEA2012 authors as well as a number of selected, peer-reviewed papers submitted to us as a result of a specific call to ISEA2012 symposium participants. The edition serves as a reader on ISEA2012’s achievement in drawing attention to prominent environmental problems, and to the possible solutions explored by artists, scholars, and technologists in a diverse range of communities today."